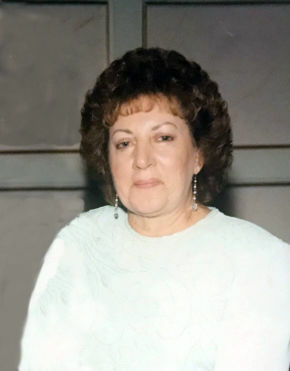 Josephine Spano, 89, of Saddle Brook passed away peacefully with family by her side on February 9,2019. Josephine was raised in Brooklyn and lived in Saddle Brook for 56 years where she and her husband, Stephen, raised five children. Josephine was a active woman, who loved gardening, camping, walks in the park with friends, Sunday drives and enjoyed bowling. Above all, she loved her family and friends. As a young woman, Josephine worked in NYC as a stenographer and secretary for Royal Indemnity Insurance Co, the Federal Reserve, A F McGraw, and for the offices of Dr Jonas Salk (developer of polio vaccine). Later in life she worked for Mailco, Inc., and Billing Collection Agency in Hackensack. Josephine is survived by her husband of 63 years, Stephen; children, Stephen and wife Rita, Deborah Chodakowsky and Marc Diamond, Daniel and wife April, Andrew and wife Danielle; and predeceased by her son, Joseph. She leaves behind 11 grandchildren; Stephen, Michael, Steven, Natasha, Joseph, Daniel, Michael, Alyssa, Pauline, AJ, Joseph. Josephine also leaves behind her sister Emilia and brother-in-law Vincent Beltrani as well as many beloved nieces, nephews and cousins. The family will receive relatives and friends Tuesday 2-4 & 7-9 pm at Vander Plaat-Caggiano Funeral Home, 13-31 Saddle River Road, Fair Lawn, NJ. A Funeral Mass is planned for Wednesday 10:30am at St Philip the Apostle, 488 Saddle River Road, Saddle Brook,NJ 07663. Interment will follow at St. Mary’s Cemetery in Saddle Brook. In lieu of flowers, donations in memory of Josephine to American Diabetes Association 575 Rt. 28 Building 2 Suite 2107 Raritan, NJ 08869 would be appreciated.